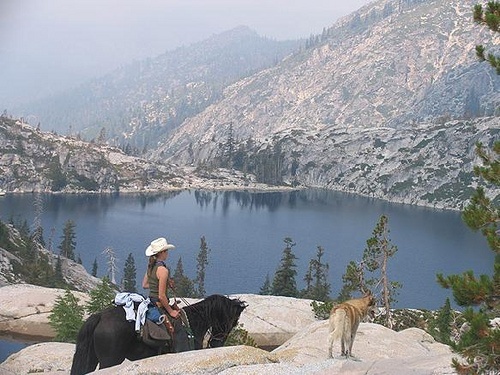 Coffee Creek Ranch, located in Northern California is 367 acres of pure, natural, pristine wilderness. Here you will find snow-capped mountain, cascading waterfalls, lush meadows, sparkling lakes and one of Northern California’s finest guest ranches. For fly fishing enthusiasts, this is a dream location. 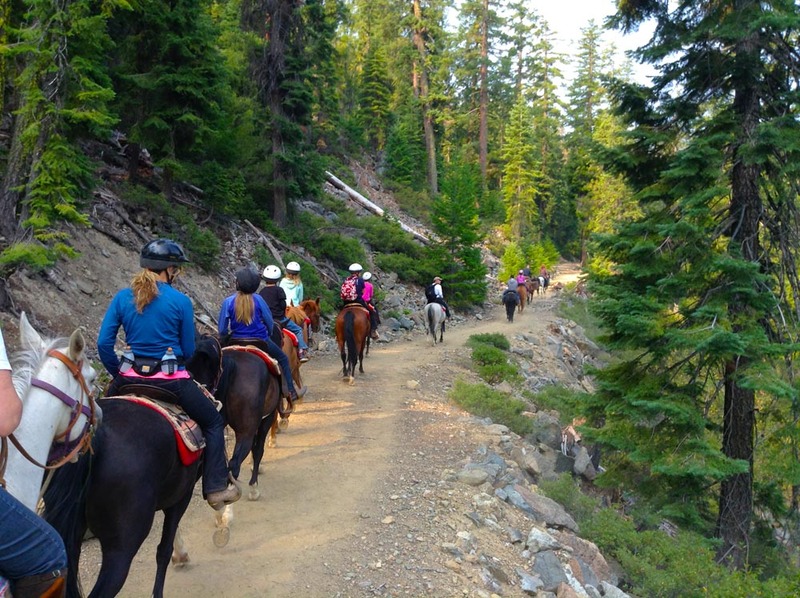 For horseback riding enthusiasts the ranch offers a variety of horseback riding activities from the twice a day 2 hour ride to Wilderness Pack Trips in the Trinity Alps Wilderness area. If overnight pack trips or shorter trail riding is more your style, the ranch will tailor your time in the saddle to suit your particular needs. Everything about Coffee Creek Ranch, from their comfortable and cozy cabin accommodations, to their freshly prepared, delicious hearty meals is designed so that guests get the most out of their guest ranch experience. If you are looking for somewhere to bring the entire family that offers all-inclusive packages which are family, kid, pet and most importantly budget friendly then Coffee Creek is definitely a guest ranch that you should consider for your next vacation or short getaway. 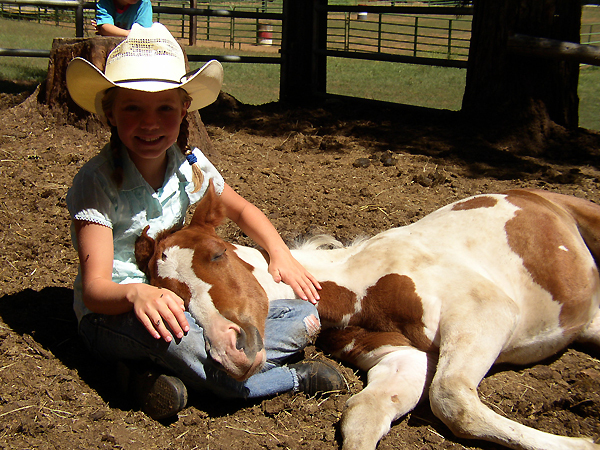 Kids from 3 to 17 years old are easily entertained by all of the activities that are available at the ranch since there are plenty to choose from. Little ones love the free pony rides, arts and crafts, gold panning, fishing, square dancing, story time, and scavenger hunts. Kids 6-12 can participate in horsemanship instruction, swimming, fishing as well as other fun pursuits. Teenagers 13-17 enjoy roping lessons, hiking, pool tournaments, trap shooting and more. There definitely isn’t a shortage of activities to keep kids of all ages busy and content at Coffee Creek Ranch and happy kids means happy parents. Other activities include mountain hiking and biking, swimming in a heated pool, soaking in the outdoor Jacuzzi, badminton, volleyball, horseshoes, pedal boating, table tennis, gold panning and basketball. Guests can also test their skills at the rifle and archery range. For the fishermen/ fisherwomen in your group stream, pond, lake and wilderness fishing opportunities as well as private fly-fishing lessons are available .In the evenings Bingo, square & line dancing, Karaoke and a talent show round off the fun list of activities that guests can choose from while staying at the ranch. At the end of a fun-filled, adventure packed day retire to one of Coffee Creek’s private, secluded themed cabins that feature rustic wood paneling decorated with charming country touches. All fifteen cabins have tall pines and ceiling fans to help keep them cool during the warmer summer months. The ranch also has one ranch house room and one cabin which is equipped for the handicapped. 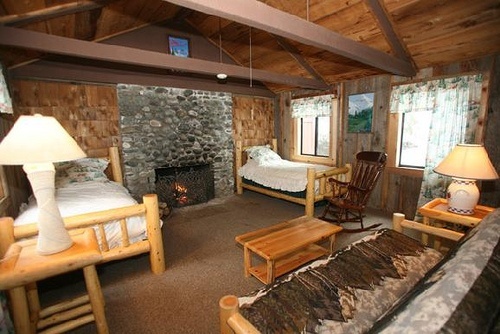 Most family cabins include wood-burning stoves which are ideal for creating cozy moments with loved ones. After taking part in so many energetic activities and breathing in all that fresh wilderness air you are bound to have worked up quite an appetite! Feast upon garden fresh vegetables and tender Angus beef seasoned with aromatic herbs as well as traditional family recipes lovingly prepared by professional chefs. Then start your morning off right with a hearty “cowboy” breakfast accompanied by fluffy pancakes, thick maple syrup and a steaming cup of coffee or tea. For those guests who require special dietary considerations simply let the ranch know in advance. Coffee Creek Ranch offers daily and weekly rates and also offer many specials throughout the year for holidays and special events. With so many incentives, no wonder they have been around for over a hundred years. Plan your visit to Coffee Creek Ranch today! Let RanchSeeker help you find your ideal guest ranch vacation today. Ranchseeker is a free online dude ranch database to help you plan your dude ranch vacation.